If you’ve ever wondered where innovations in the toilet industry happen, you’ll kick yourself when you find out. Naturally, it’s in Porcelain Valley. 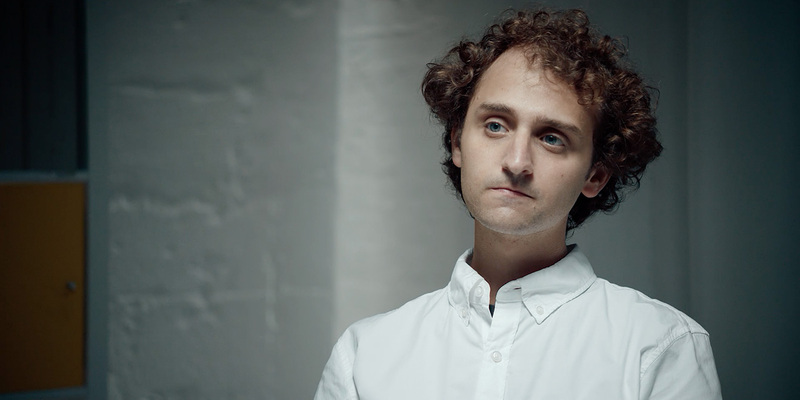 A new campaign for American Standard from Minneapolis agency Solve introduces viewers to Silicon Valley’s less glamorous, more functional cousin, where engineers in lab coats stand in showers fully clothed in ponchos, and walk around carrying parts of porcelain thrones with great purpose. A 30-second TV spot captures the spirit of the place with delightfully snickering glee. A voiceover touts “disruption, revolution and sea change,” as the camera zooms in on flushing water circling the bowl. “We’re always thinking about you … maybe a little too much,” it concludes, as a guy with a clipboard sits pensively watching a mechanized toilet lower its own seat. There are also shorter social videos. In one, ridiculously upbeat music plays while a woman demos a self-flushing toilet, and two nerds look on in perfect deadpan awe. In another, an engineer dances a little too enthusiastically, Napeleon Dynamite style, to test a faucet’s sensor, perfectly channeling the campaign’s obliviously absurd tone. The multimillion-dollar campaign includes buys in sports and home programming including ESPN, NCAA football, This Old House and Real Simple. Overall, it’s a clever effort that owes a lot to HBO’s techie-skewering comedy series Silicon Valley—even if it takes that sort of mockery in a new direction. In a 60-second digital trailer for American Standard, the Steve Jobs of johns, decked in a yellow turtleneck, comes out onto a WWDC-style stage to thunderous applause. The character is a perfect blend between two characters from that HBO show—the hapless protagonist Richard Hendrick (Thomas Middleditch) and effete villain Gavin Belson (Matt Ross)—with casting that suggests the actor looks something like their lovechild, as well as acts it. Regardless, nobody can argue the marketer doesn’t have a fresh angle on the joke—namely, that the brand’s products have far more practical value than what comes out of the tech industry, including as a destination for much of the very same.